I was completely blown away by this book. 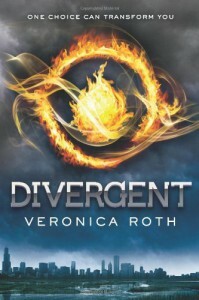 Many YA dystopian novels seem the same, and at the beginning I was afraid that Divergent would fall into this trap. Yes, it does have similarities to many other novels, but its content, message, and writing set it apart from others of its kind. That being said, the five factions definitely reminded me of the Hogwarts Houses, and I guessed many of the surprises in the plot. However, not for one moment did I want to put the book down. So overall, I'd definitely recommend this book to dystopian fans, as well as any readers of the YA genre.